Scoop is an original Israeli drama that explores how far people will go when their loved ones are at stake. 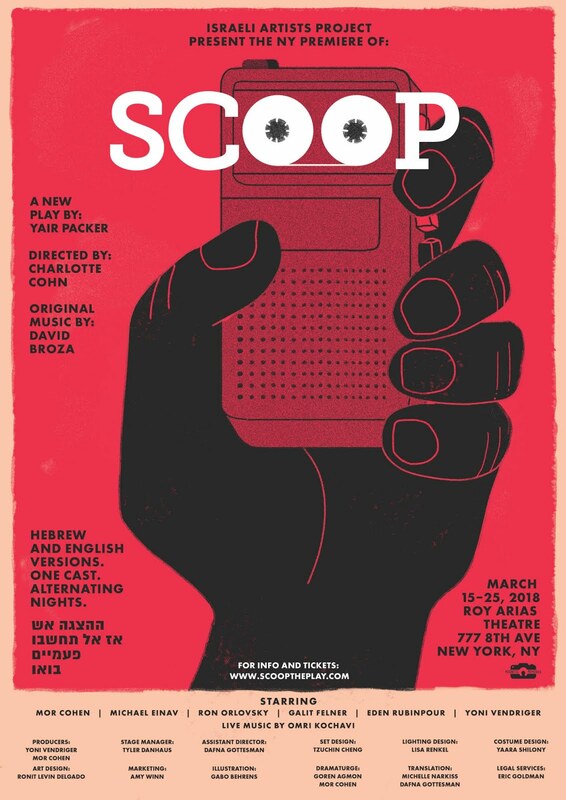 This is the first production by Israeli Artists Project (IAP, "yap"), which aims to present more works of Israeli, Hebrew-language theater in New York. NYCPlaywrights is offering members of its mailing list a pair of tickets for each night of its first weekend - performances in English and in Hebrew. There will also be a discount code for those who try for but don't win the tickets.